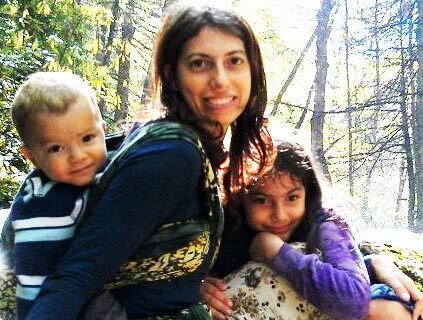 Scroll down for Wendy’s Double Hammock Carry tutorial, Double Hammock Tied at Shoulder (TAS) tutorial, and Double Hammock Tied Under Bottom (TUB) tutorial. Step 1. Find the center of your wrap and slide your hand down 18 inches or a couple of feet. Step 2. Put the new middle on your baby’s back and put baby on your back (I’m using the hip scoot here). Step 3. 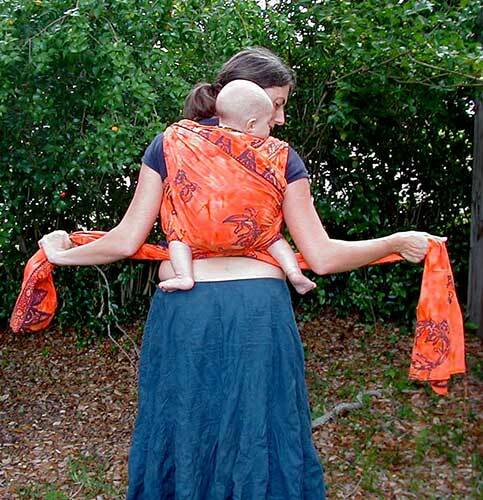 Center baby on your back and spread the wrap over baby’s back. Step 4. Create a seat under your baby’s bottom with knees tucked up. 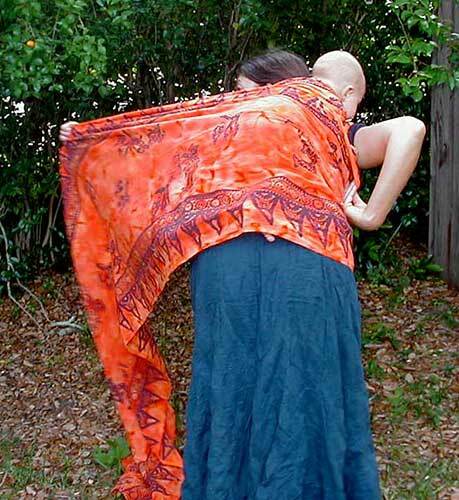 Bring the short end of the wrap over your shoulder and the long end under the opposite arm. Step 5. 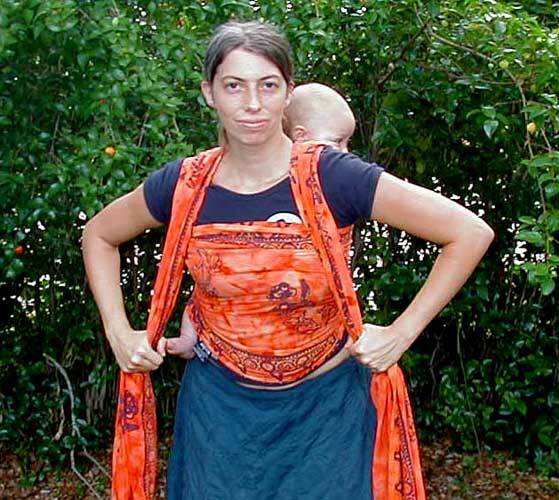 Bring the long end of the wrap from under your arm, straight across your chest. 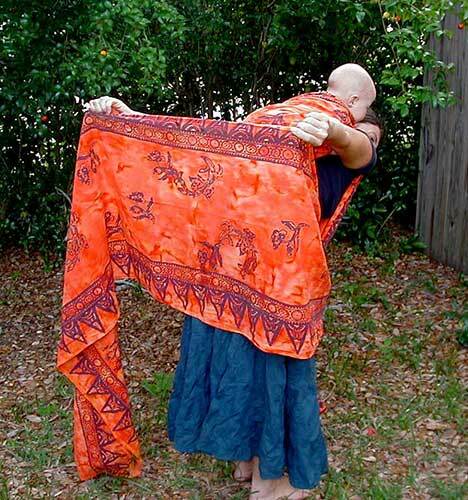 Put the short end of the wrap coming over your shoulder between your knees to hold it. Step 6. 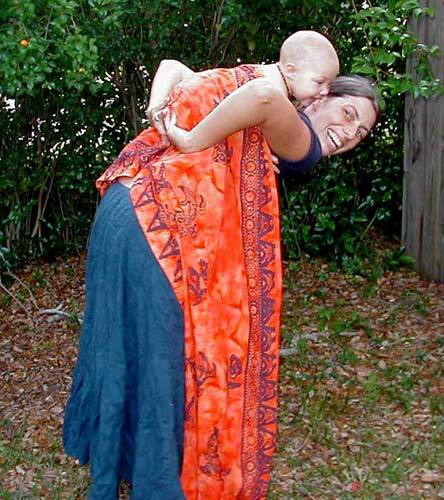 Pass the wrap to your other hand behind your back and spread your hands wide apart so that you can place it over your baby without having to reach so far back. Step 7. 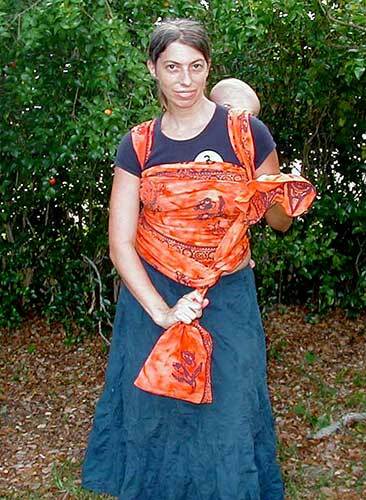 Place the wrap over baby’s back. Pull the wrap tight across your chest and feed the slack behind your back. 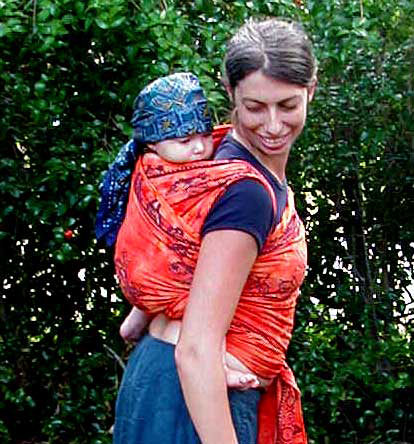 With your other hand pull the wrap tight across baby to take up the slack. Step 8. 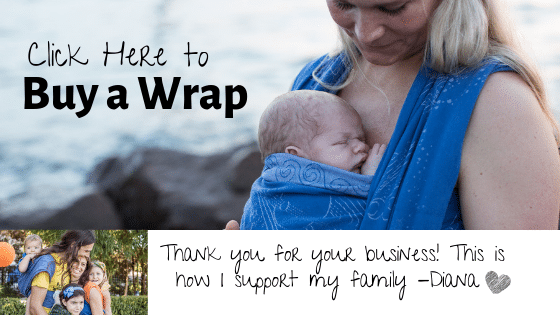 Take a wrap end in each hand and pull them upwards and outwards (to make a V shape) to tighten the wrap across your torso and across your baby’s back. Step 9. Bring both ends over your shoulders and straight down to go under the same arm. Step 10. 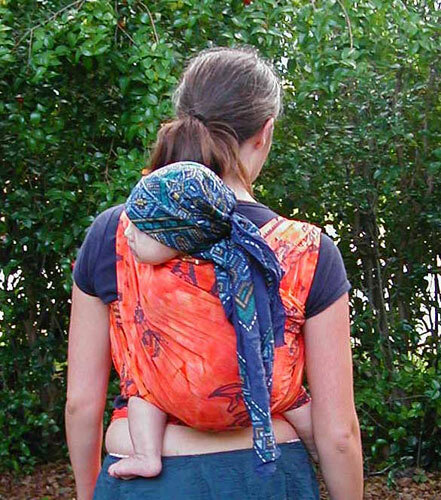 Bring the wrap ends behind your back and switch hands to cross the wrap under baby’s bottom. Step 11. 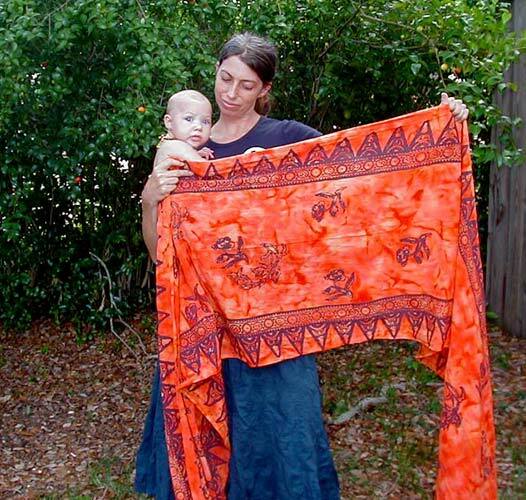 Bring the wrap ends under your baby’s legs. Step 12. Bring around your waist and tie a double knot at your waist. 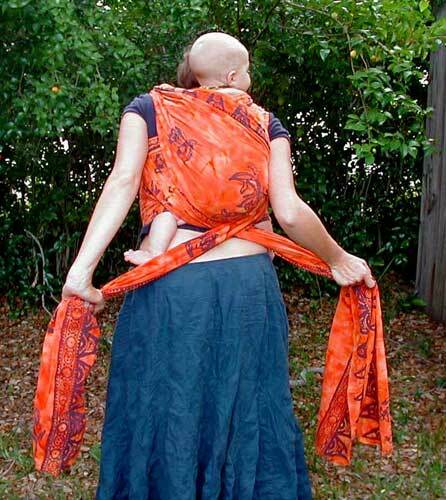 Double Hammock Carry: view from behind: baby is in two sling (or hammock) passes. Double Hammock Carry (DHC) is super comfortable and baby has a great view over my shoulder. 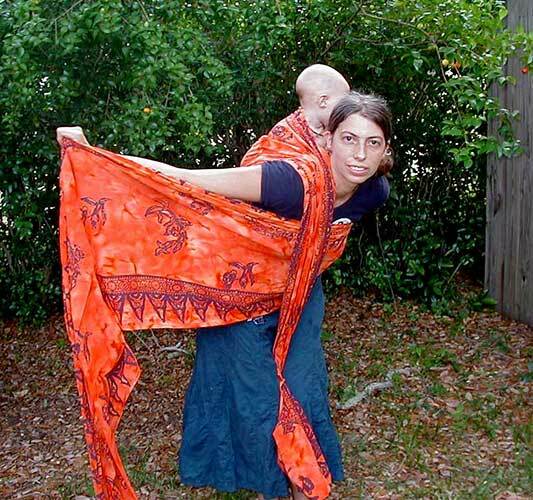 In a woven wrap Double Hammock Carry, baby’s arms can be tucked inside the wrap – perfect for a young baby or a baby needing head support – or arms and shoulders can be out of the wrap for a baby or toddler who doesn’t want to feel restrained. 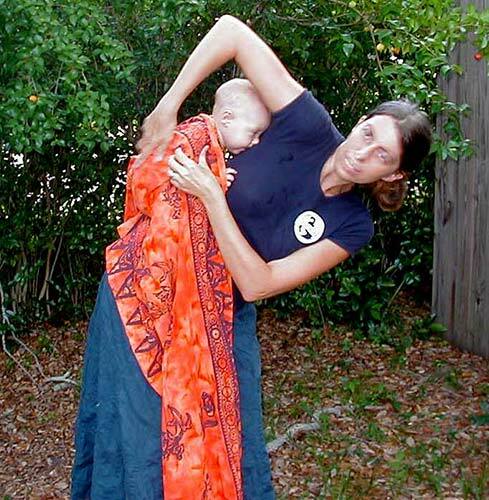 DHC TAS (tied at shoulder) has the same horizontal chest pass and two hammock passes for baby but instead of a cross between baby’s legs at the end, it has one bunched horizontal pass that goes straight across behind both knees, and then the carry ties at the shoulder. 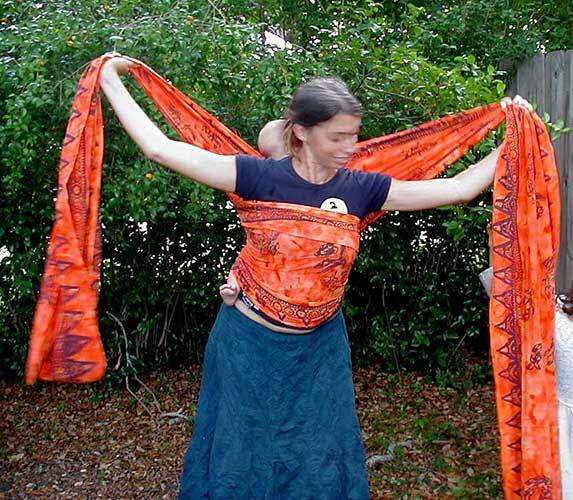 As a result there is no tie around the waist, and it can be done with a shorter wrap. 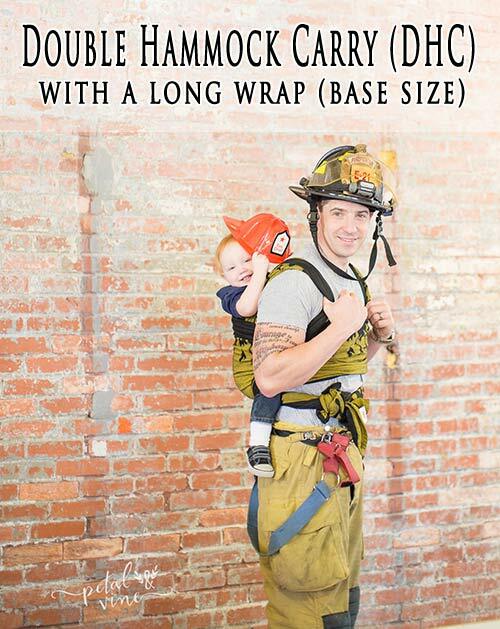 This is the centered version of DHC TAS which means you begin with the wrap centered on baby’s back, unlike a standard DHC. Click here for photo tutorial for DHC TAS.